Bollenvelden in rood, 19×19 cm. 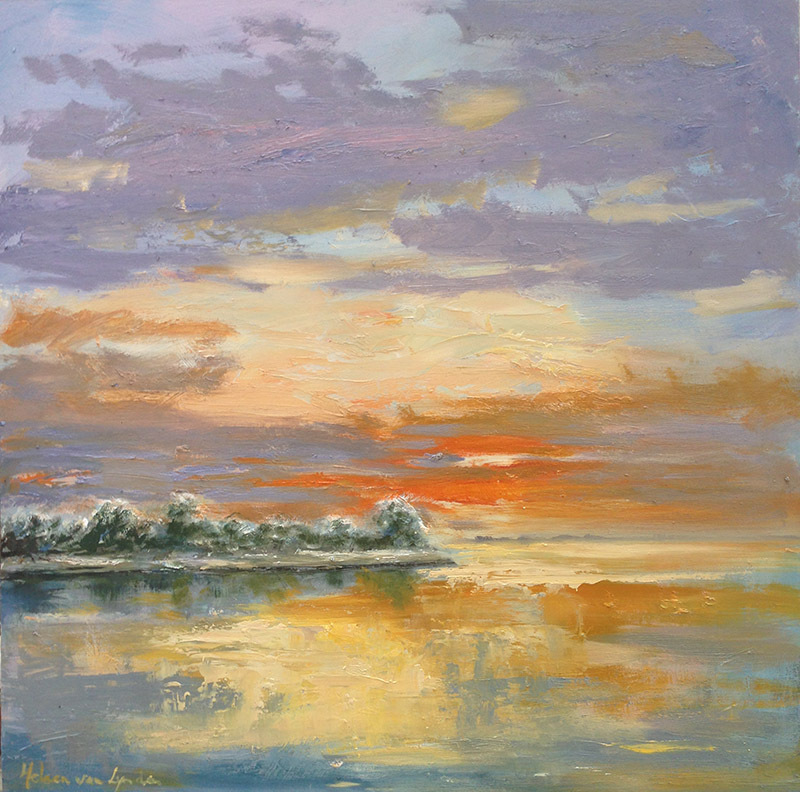 Size: 25×25 cm, oil on panel. Bollenvelden, 13 x 13 cm. 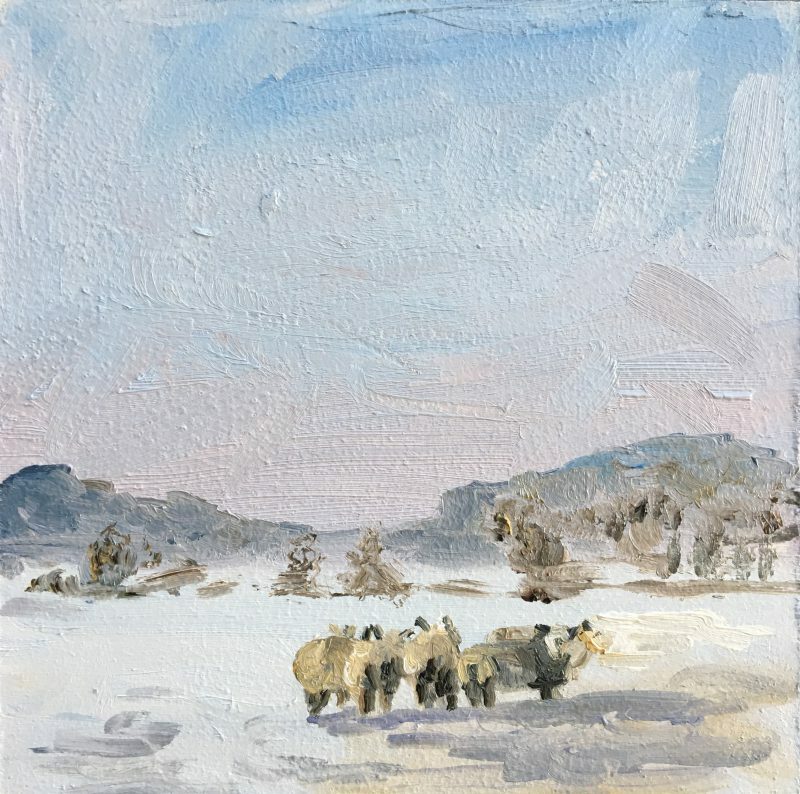 Sheep in the snow, 13×13 cm. 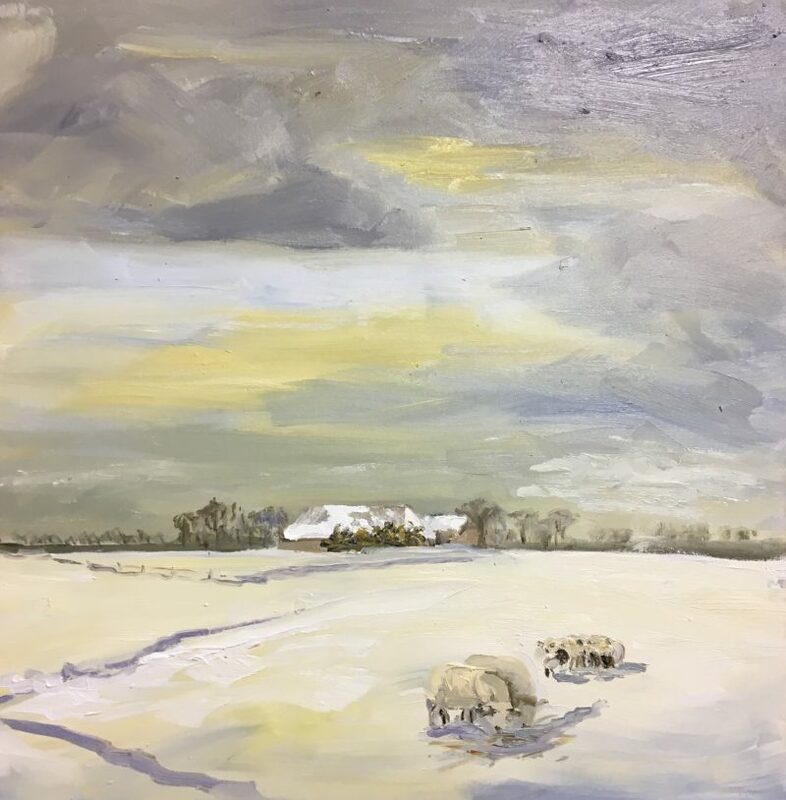 Sheep in the snow; this very small painting in a beautiful passepartout and frame. Nice! Snowlandscape 1, maybe we see this snow again this season. 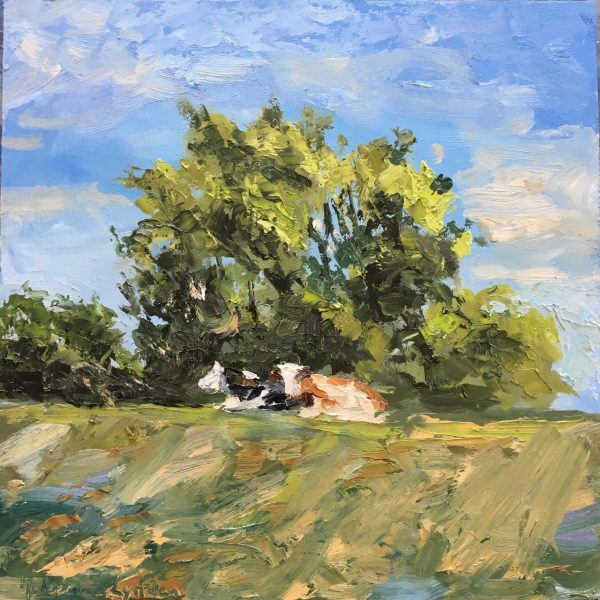 Cows on the dike. 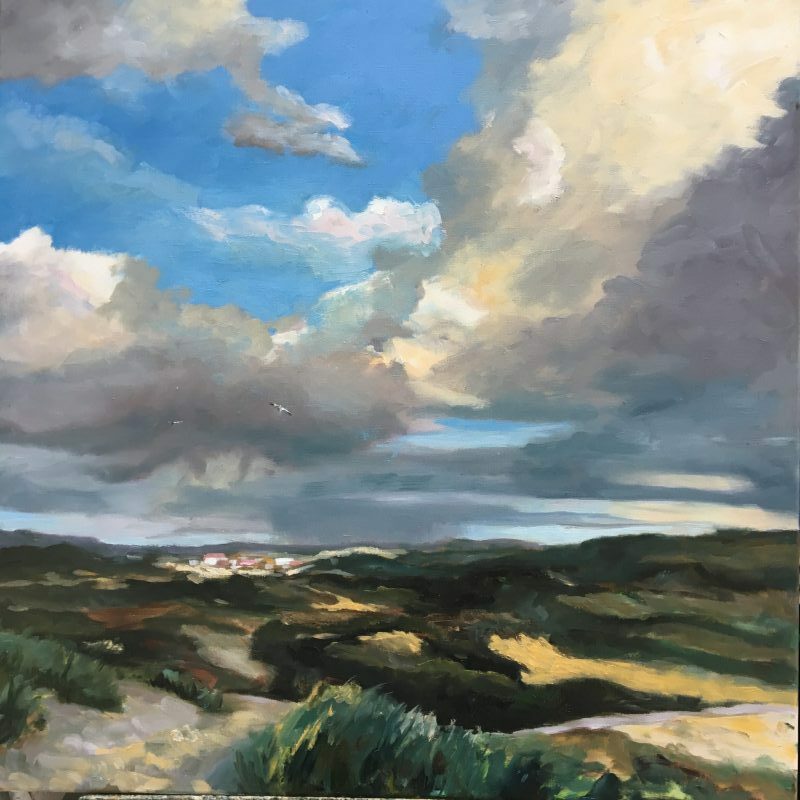 Muiden 25x25cm. 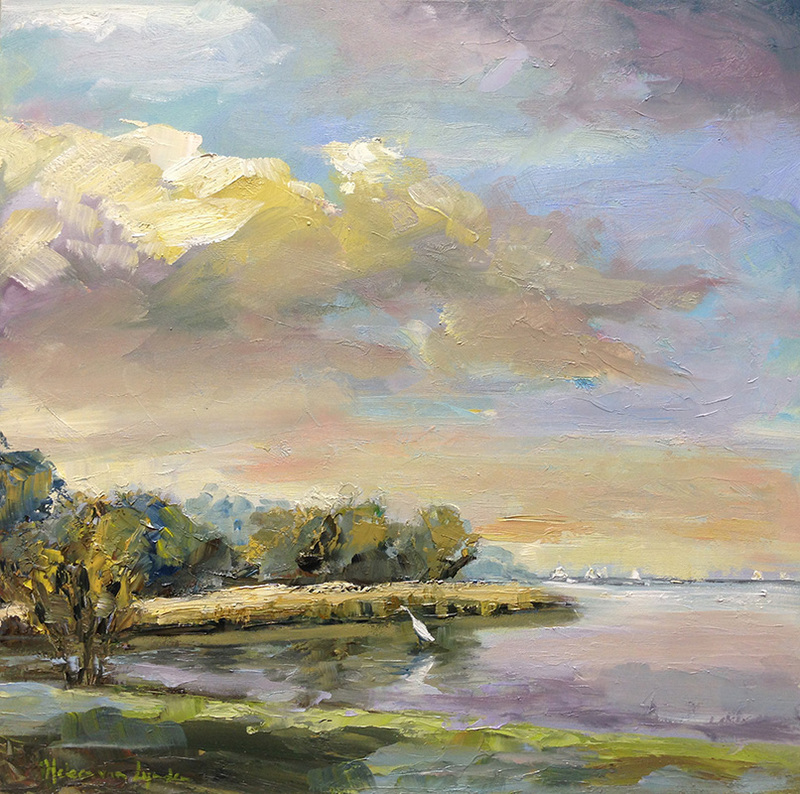 Muiderberg with egret, 36×36 cm. How could I see the landscape in the Netherlands ever as boring? 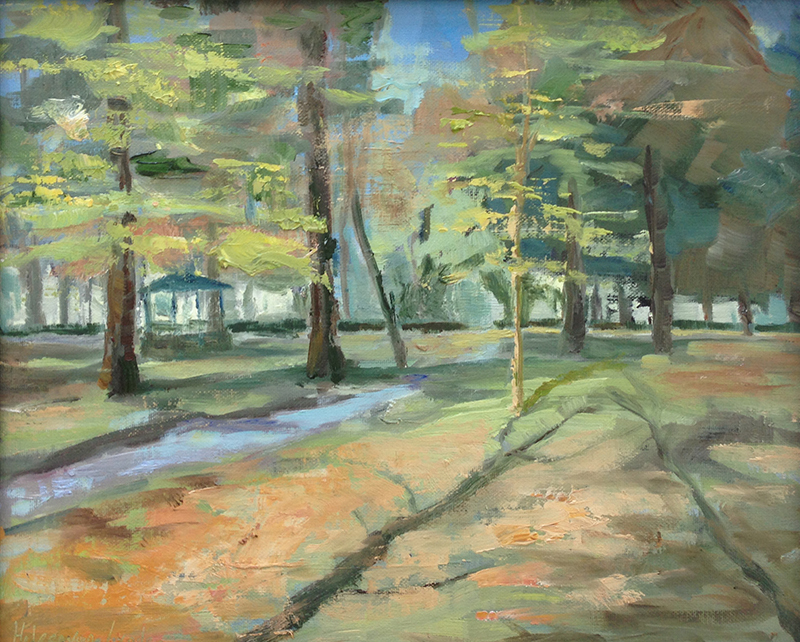 When I worked most of the time as a portrait painter for 20 years, I may not have an eye for it. One sees when one learns to look. Looking is focusing. 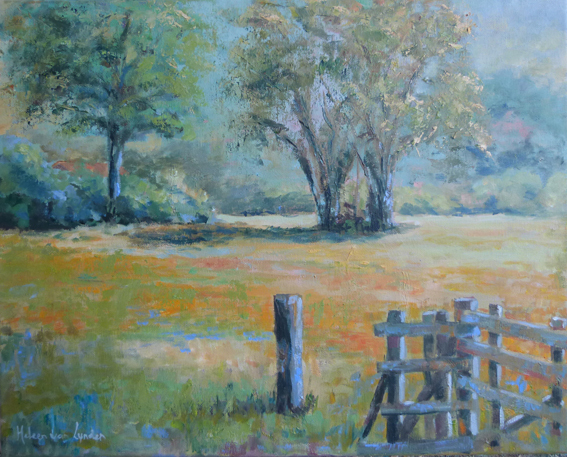 I did this with my portrait work, but now I see the colourful meadows, with cattle or just trees, or a single tree in the landscape. The skies are never the same: I see them only for a few years, and fall in love with them. 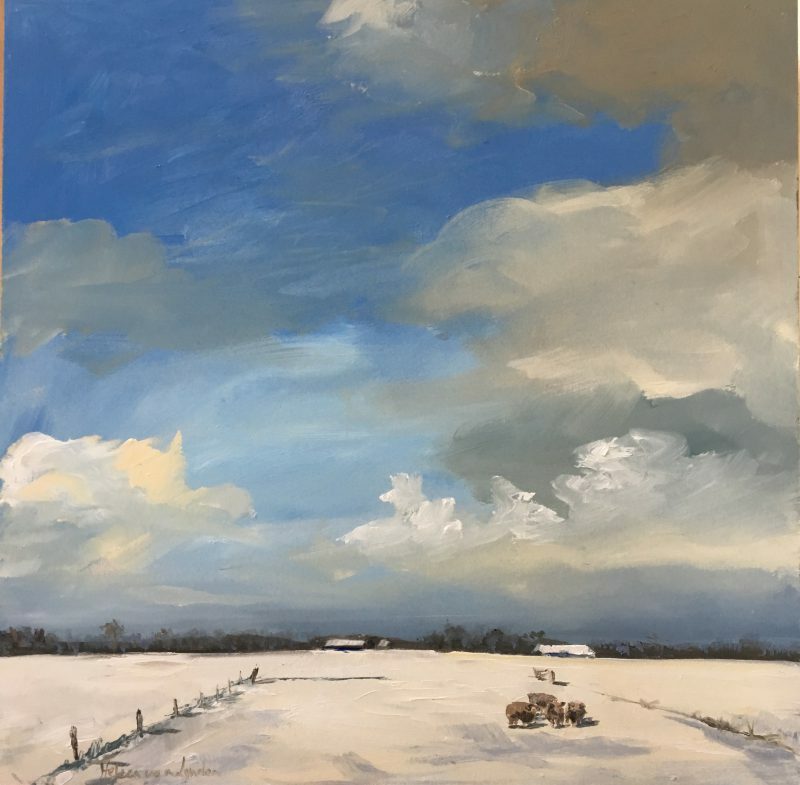 Dutch landscape with fence, 40×50 cm.